Letzten Sommer waren Gerüchte im Umlauf, dass die Bilder von Connor Baxter auf Starboard SUPs im Starboardkatalog und Werbungen gar keine Starboard SUPs sind, sondern Jimmy Lewis Bretter. In der aktuellen Ausgabe des US-Magazins Stand Up Paddle Magazine ist nun wiederum eine Anzeige mit Connor Baxter zu sehen und offenbar wiederum auf einem Jimmy Lewis Brett getarnt mit Starboard Aufklebern. Jetzt ist Jimmy Lewis der Kragen geplatzt. Er veröffentlichte soeben ein Statement auf Facebook in welchem er Starboard bezichtigt wiederholt und gezielt Werbung zu machen für die eigene Marke mit seinen Brettern. Wie dem Text zu entnehmen ist, hat JL bereits einen Anwalt vor 6 Monaten auf die Sache angesetzt und bekam auch eine Antwort, in welcher Svein Rasmussen offenbar den Tatbestand zugegeben hat. Trotzdem erschien wieder eine Starboardwerbung mit einem Bild von Connor Baxter auf einem Jimmy Lewis SUP. 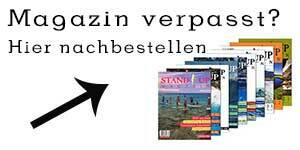 This month’s issue of Stand Up Paddle Magazine features an inside cover, two-page spread ad by Starboard. And once again, they are using a Jimmy Lewis board in their ad with Starboard stickers on it. Starboard isn’t a small company. They’ve got their stable of riders, in-house shapers, and a full marketing department. 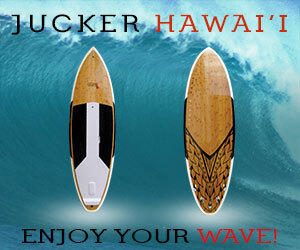 So WHY do they need to use my board in their advertisements, PRETENDING that it’s a Starboard? This isn’t the first time it has happened. 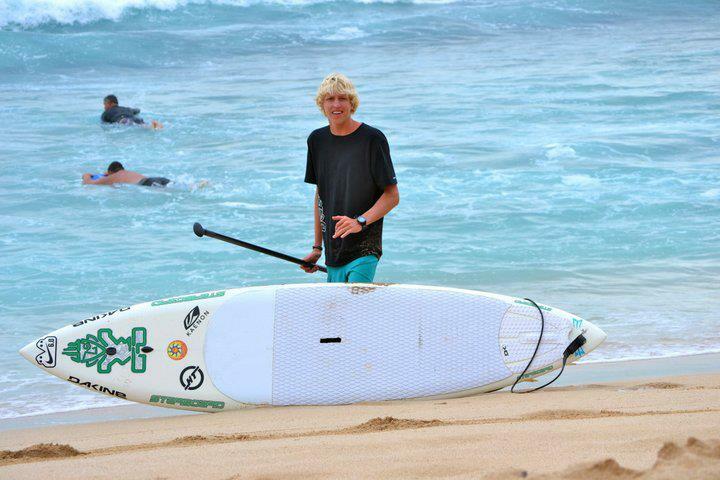 Starboard’s 2011 SUP Catalog featured Connor Baxter riding a Jimmy Lewis custom which had been photo-shopped to carry the Starboard markings. 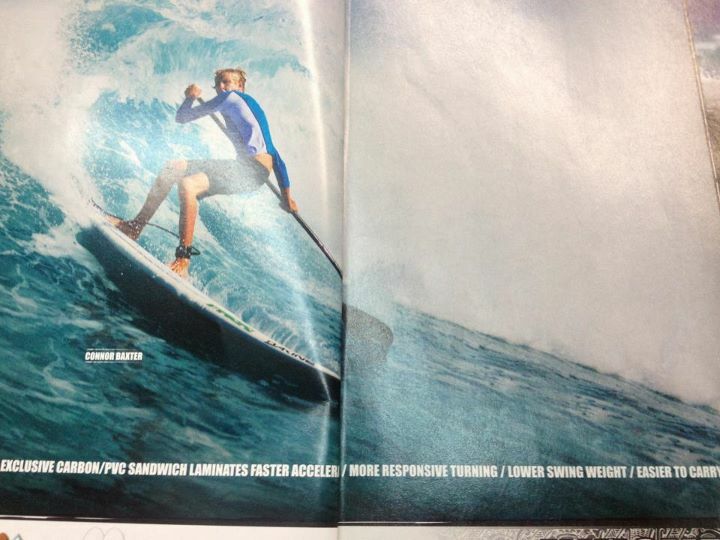 In June 2011, a Starboard ad came out in Stand Up Journal with a different shot of Connor on the same board. My attorney issued a demand that Starboard discontinue the deceptive practice. 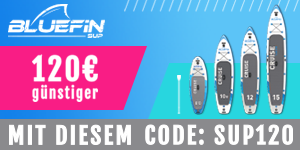 Svein Rasmussen, President of Starboard acknowledged that he knew the board was a Jimmy Lewis board and not a Starboard SUP being used in the catalog and ad. He defended that Starboard was within their rights to use and alter the photo. After further legal pressure, however, he issued an apology to me, a promise to never engage in this practice again, and a letter to all Starboard dealers to make them aware of the misleading photos. YET, here we are 6 months later, and Starboard is doing it again. The new ad features Starboard’s top wave rider, Connor Baxter, again on a Jimmy Lewis board, turning hard and fast on a wave. The caption claims that Starboard construction delivers, “faster acceleration, more responsive turning, and lower swing weight.” So WHY do they need their rider on a Jimmy Lewis board to depict that claim in action? More interestingly, why do some of their riders prefer to ride other brands when on crucial waves or in major races? Connor Baxter, Starboard’s top rider has the right to ride Jimmy Lewis boards in big waves and win all three races of the Hawaii Triple Crown series on boards by S.I.C (Sandwich Island Creations: Connor in fact won all three races of that series using his SIC board and Starboard claimed 3 Starboard victories). But Starboard does NOT have the right to deceive the public into thinking these achievements were made on their products. THIS PRACTICE IS ILLEGAL. The U.S. Lanham Act prohibits companies from passing off another’s product or work as their own. The consumer is being deceived into believing that Starboard products are being shown when they are not. About 6-8 months before the first Starboard ad came out which featured my board photo shopped with the Pro Wave graphics on it, I had adopted the policy of not making any custom boards for any riders who represented other companies, specifically for the reason that this problem is happening. And sure enough it happened. I am in the process of consulting my attorney to weigh my options, including the possibility of obtaining an injunction against Starboard and its US wholesaler Trident Performance Sports since their promise to refrain from engaging in the same allegedly unlawful conduct has proven to be unreliable. 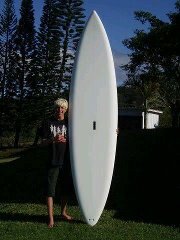 Blankes SUP von Jimmy Lewis frisch geshaped. Das gleiche Brett; Sponsorenwerbung oder Rebranding? Hier gehts zum Originalpost auf Facebook.